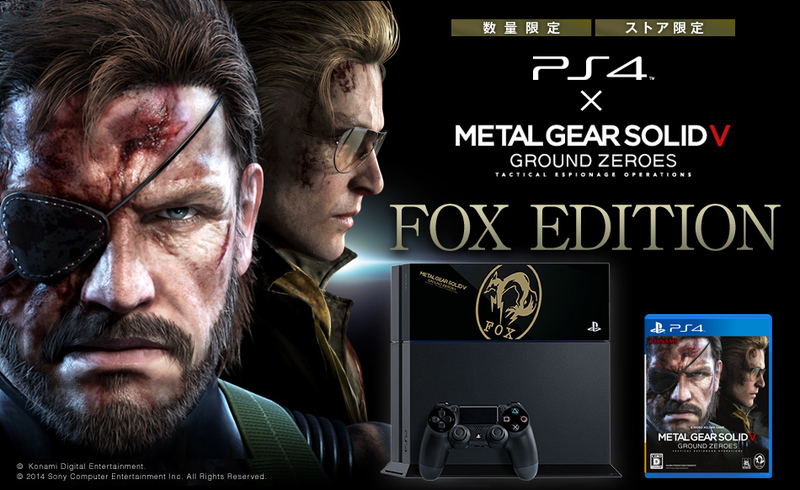 Konami has revealed a Limited Edition PS4 console with Metal Gear Solid 5 branding, dubbed the “Fox Edition”. The console will come with Metal Gear Solid: Ground Zeroes, and will be available to purchase on March 20th 2014 in Japan for ¥46,980. 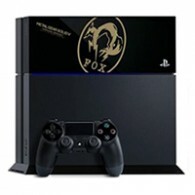 The Limited Edition console itself features nothing more than a Foxhoud decal. In related news earlier today, it was also confirmed that the PS4 version of the game will run at 1080p resolution at 60fps.